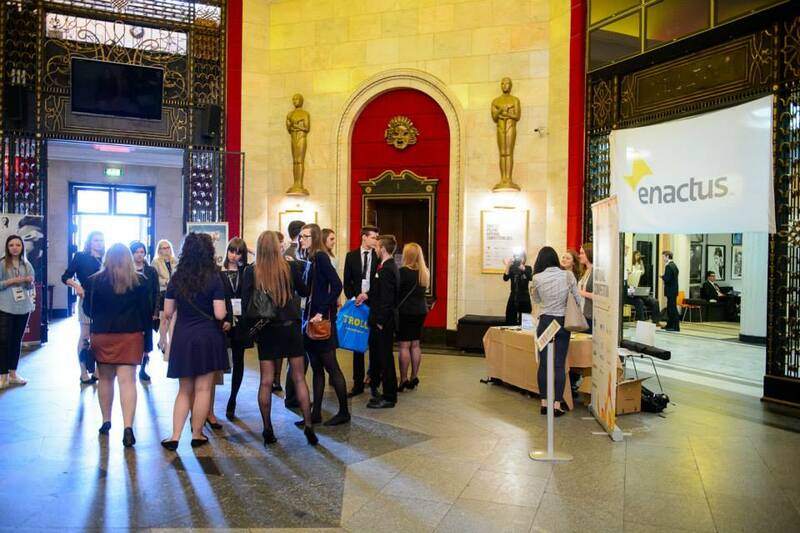 The Enactus Poland National Competition kicked off the morning of 25 May when nearly 400 students, faculty members and executives met at Kinoteka in the Palace of Culture and Science, one of the most recognizable buildings in Warsaw. 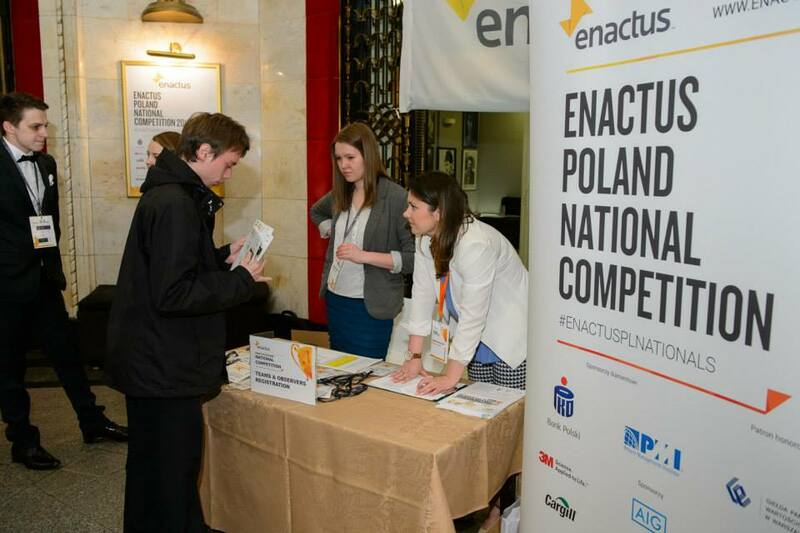 For the past three years, this national event has taken place at a smaller venue, but because of the steady growth of Enactus in Poland, event attendees had the opportunity to celebrate the achievements of the year at this landmark venue located in the heart of the city. 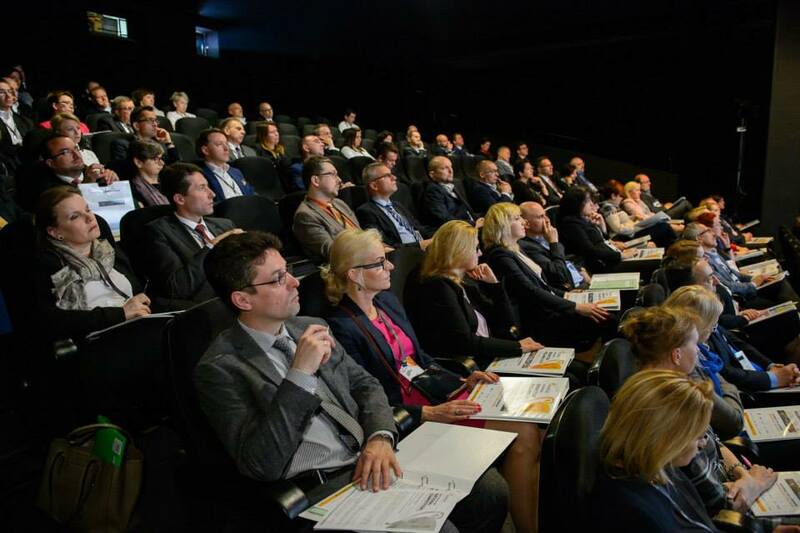 Eight teams took part in the opening round of competition, which was judged by 90 business leaders who had the difficult task of selecting the finalist teams. Once announced, the finalists took to the main stage to showcase their impressive entrepreneurial initiatives from the year in hopes of being named the National Champion. 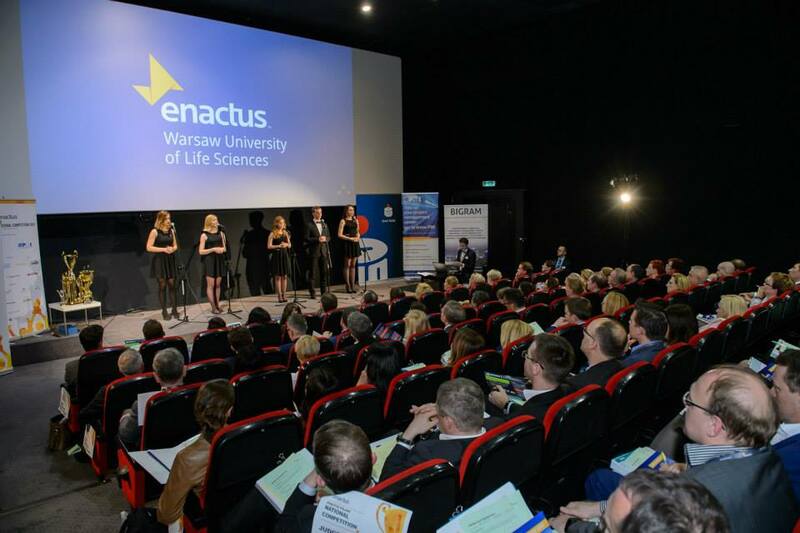 In the end, 84 executives serving as judges selected the team from Warsaw University of Life Sciences, who will now prepare to take on the world at the Enactus World Cup in Johannesburg this October. The team’s Aphasia project was particularly impressive. Aphasia, a communication disorder resulting from a stroke or other brain injury, prevents the individual from speaking, even though they are able to think normally. The team began by completing a needs assessment that highlighted two main issues: first, Aphatics need a way to communicate with others but available tools are expensive; and second, family members of Aphatics do not have easy access to information about the condition. As a result, the team launched two initiatives. The first, a publishing application, is an intuitive online diary that allows Aphatics to communicate thoughts and feelings with family members and friends. This mobile storytelling application, one of the first of its kind in the world, was professionally tested using a three step process by 10 patients. After positive results and feedback, the application was published on Google Play and downloaded more than 100 times in its first week. They also built an online database that collected different resources regarding Aphasia, targeted to family members and caregivers.